The Wetherbee House, built around 1873 for Hiram E. and Dora Wetherbee, is the oldest and last remaining home in downtown Greenville. Wetherbee, a Kentucky-born Union Civil War Veteran, returned to the Delta after the Civil War and founded a prosperous hardware store in Greenville. The home was added to the National Register in 1977. Today, it is under renovation to become Wetherbee’s, a retail space. 1842 — Hiram E. Wetherbee is born in Boone County, Kentucky. 1860 — Wetherbee, an 18 years-old farmer, is living in Golconda, IL along the Ohio River. He and six siblings are in the household of his father, T. W. Wetherbee, a wagon maker. 1862, August 16 — Wetherbee enlists at Golconda in 120th Regiment Illinois Infantry Volunteers, Company E as a teamster/wagoner. A younger brother, Wesley O. Wetherbee, joined the 29th Illinois Volunteer Infantry in 1864. 1862-1865 — The 120th IL Infantry transfers to Memphis, Tennessee. The 120th participated in the siege of Vicksburg (May-June 1863) and spent time in Old Greenville. 1865, September 10 — Wetherbee is discharged from the Union Army at Memphis. 1867-1870 — Wetherbee likely arrives in new Greenville. He initially farmed and worked as a tinsmith. In the 1870 Census, he has $1000 in real estate and $700 in personal property. His neighbor is Samuel Elliot, an Indiana-born hardware dealer who was appointed Greenville’s postmaster in 1868. 1871 — Wesley O. Wetherbee, Hiram’s younger brother and a Greenville blacksmith, marries Belle V. Elliott. 1873 — Wetherbee purchases land from Mrs. Blanton Theoblad, where he would build his home. 1874, October 3 — Advertisements for Wetherbee & Brown Hardware appear in The Greenville Times. 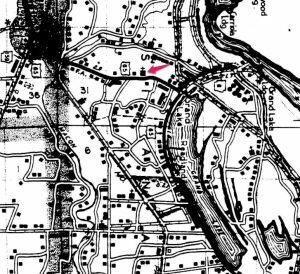 Records suggest the hardware store was located on the now lost Mulberry Street parallel to the Mississippi River. In 1885, the store was relocated to Walnut Street. 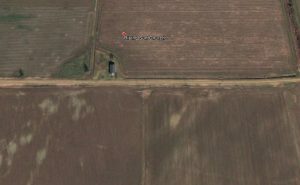 1874, October 28 — Wetherbee weds Dora McCoy at Golconda, Illinois. The couple raise three children: Harry Lon (1875), Edna (1877), and Ethel (1895). 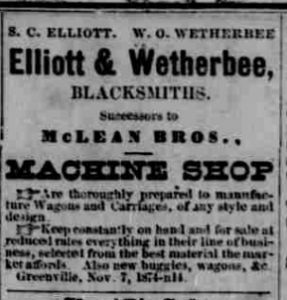 1878, September 30— Wesley O. Wetherbee, Hiram’s younger brother and a Greenville blacksmith since at least 1871, dies. His death coincides with the yellow fever epidemic. He is buried in Arlington National Cemetery. 1905 — Wetherbee dies and is buried in the Greenville Cemetery. Wetherbee’s son, Harry, takes over the hardware store. 1911 — Dora Wetherbee dies and is buried in the Greenville Cemetery. 1950 — Wetherbee Hardware Store claims to be the oldest in the state of Mississippi. 1957 — Wetherbee Hardware Store is sold to new owners. It closed in 1966. 1973 — Ethel Wetherbee Finley is the last Wetherbee to live in the home. 1973 — The Council of Greenville Garden Clubs purchases the home. Under an architect’s supervision, the house is restored to its 1870s design and used as a clubhouse and museum. 1977 — The Wetherbee house is added to the National Register “as a rare example of the modest cottage type of domestic architecture common…in the post-Civil War decades” in Greenville. The Wetherbee carriage house is believed to be pre-Civil War. Note: In addition to the National Register nomination, Mrs. Robert M. Harding’s 1978 article, “The Historic Preservation of the Wetherbee House,” published by the Washington County Historical Society is a good source of information on the Wetherbees and the home. Other sources consulted include U.S. Census records, Greenville Times, Delta Democrat-Times, Hiram Wetherbee’s pension file at the National Archives, among others. Just behind the Lakeport house is a small children’s cemetery with post-Civil War burials of Lycurgus and Lydia Johnson’s children and grandchildren. Unprotected for many years, markers had been lost–some apparently drug into the field by tractors. Before restoration, the small crypt was the only for sure burial. Parts of four small markers were eventually discovered and ground penetrating radar revealed that there are at least two other burials and likely a third. Of the four markers, only two have initials: “C.J.” for Cable Johnson (b. March 15, 1865; d. August 5, 1867) and “L.J.S.” for Lydia J. Starling (b. October 19, 1879; d. 1882). The third and fourth markers do not have any visible initials. Those markers are likely for Julia J. Johnson (b. July 12, 1860; d. November 1, 1869) and Lucie C. Worthington (b. January 8, 1880; d. June 5, 1881). Parts of four markers were found around the children’s cemetery. Only two had any identifiable marks. However, a recently discovered record suggests there is a fifth child buried in the cemetery. This ca. 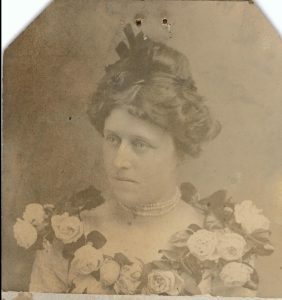 1890 photograph of Emma Peak Johnson, taken in Wilton, Iowa, was found behind the drawing room mantel during restoration. According to Iowa, County death records, 1880-1992, John P. Johnson, 13 months old, died on July 25, 1888 in Wilton Junction, Iowa. 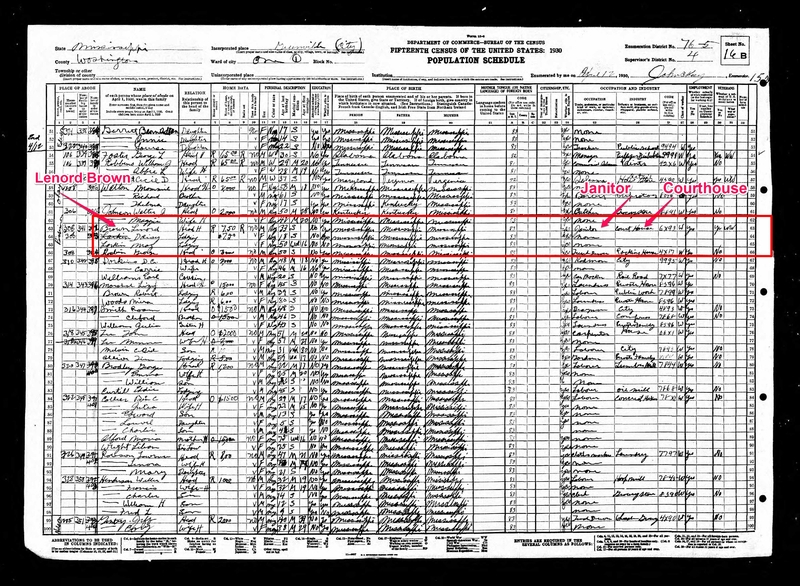 The record shows he was buried at Lakeport, Arkansas, very likely with his cousins behind the Lakeport family home. 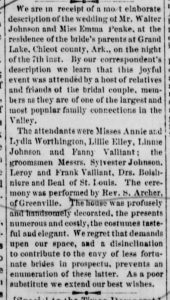 Lycurgus and Lydia chose to bury their children who died before the Civil War in Frankfort, Kentucky and would eventually join them in 1876 and 1898. Unlike their parents, the Johnson daughters, Annie Starling and May Worthington, as well as Emma and Walter Johnson and chose their childhood home, Lakeport, as the place to bury their children–even sending little John Peak Johnson all the way from Iowa. 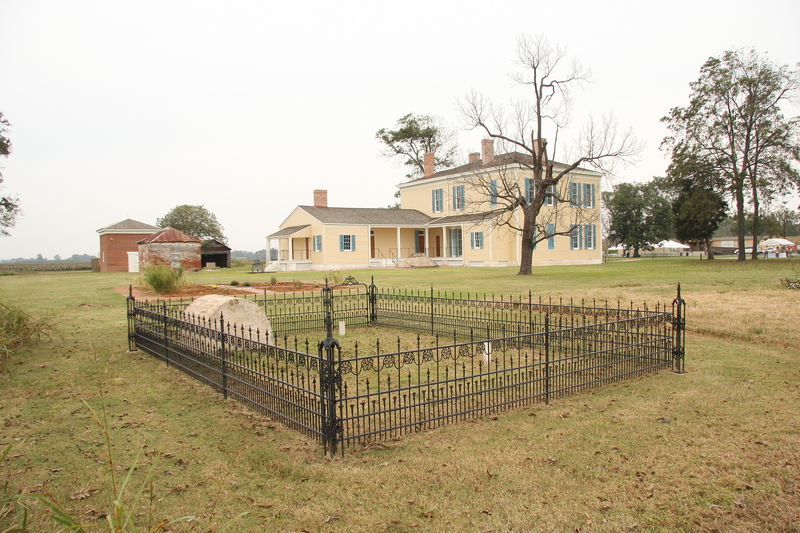 The cast iron fence was added around the cemetery was added in 2008. A gift of Annie Paden, a descendant of Mary (May) Johnson Worthington, the iron fence surrounded Annie Taylor Worthington Spencer’s home on the Glen Allan Plantation in Glen Allan, MS.
Lydia Starling (1879-1882) was the daughter of Annie Johnson Starling (daughter of Lycurgus and Lydia Johnson) and Charles Hensley Starling. Nine-year-old Julia J. Johnson died in November 1869 about eight months after her brother, Cable. Lucie Worthington (1880-1881) was the daughter of Mary (May) Johnson and Isaac M. Worthington, Jr.
A copy of Emma Peak Johnson’s unpublished 1937 memoir, Growing Pains are Heaven, is on file at the Lakeport Plantation. 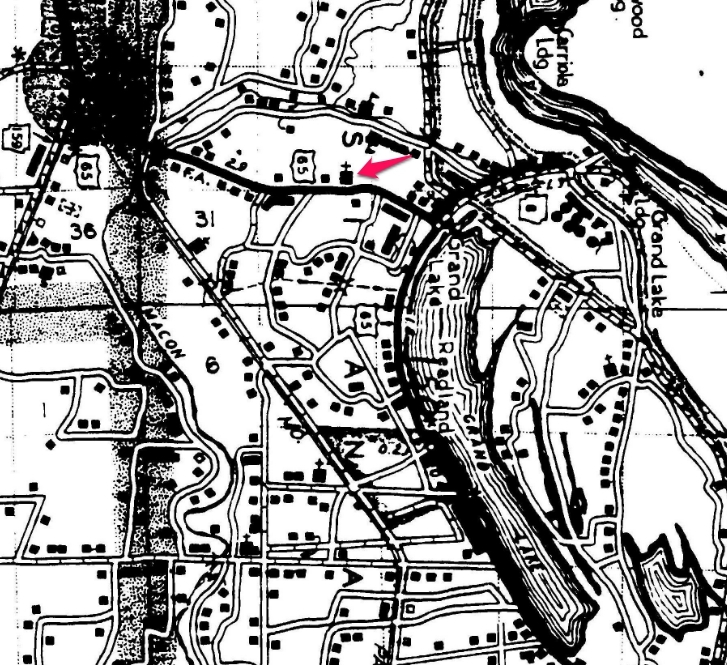 Casqui and Hernando de Soto’s Cross: Is Parkin the Place? All four de Soto narratives describe the erection of a cross on the main ceremonial mound at Casqui. The site has been a National Historic Landmark since 1964 and an Arkansas State Park since 1994. 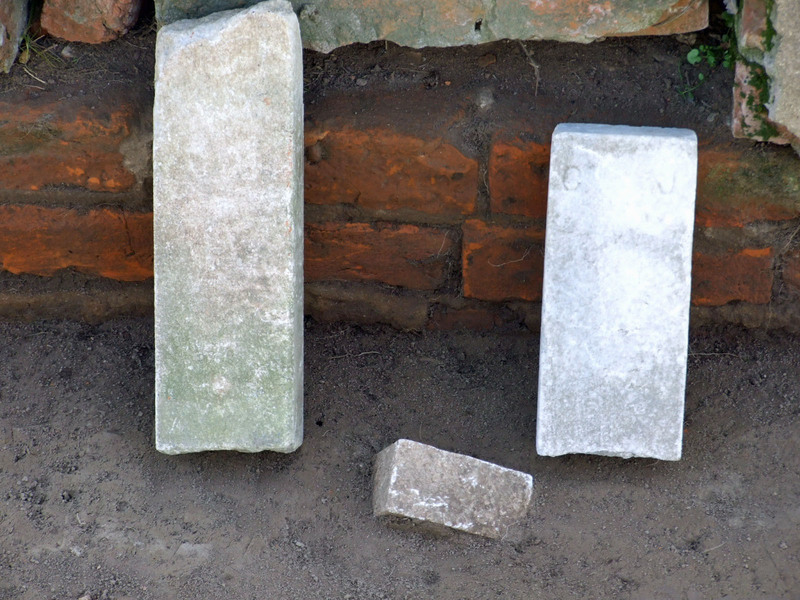 Photo courtesy The Archaeological Conservancy. On July 5, 1541, the Hernando de Soto expedition erected a large wooden cross atop the main ceremonial mound at Casqui. That site is believed by archeologists to be the Parkin Site in Cross County, Arkansas. 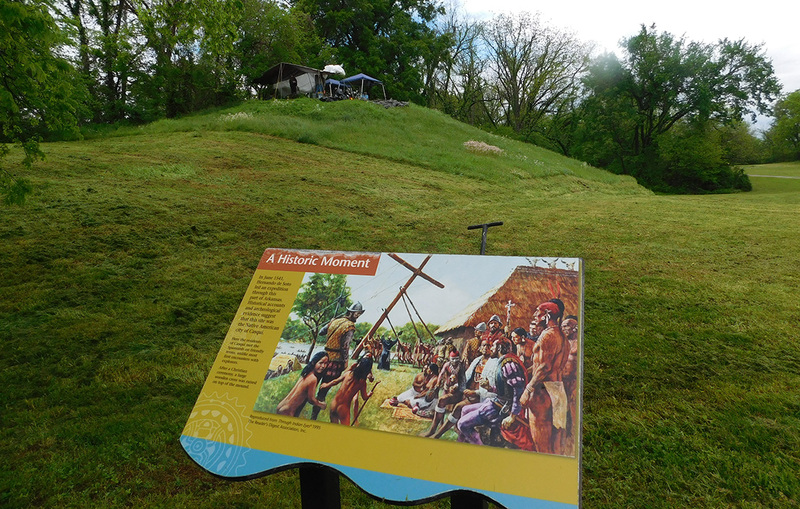 In 1966, archeologists discovered the remains wooden post atop in the main ceremonial mound. While samples taken in 1966 dated to the post to between (1515-1663). A new excavation of the post in 2016 holds the promise of precision and a date closer to de Soto’s arrival in what is now eastern Arkansas. Dr. David War, Arkansas Capitol Historian, is the author of It’s Official! 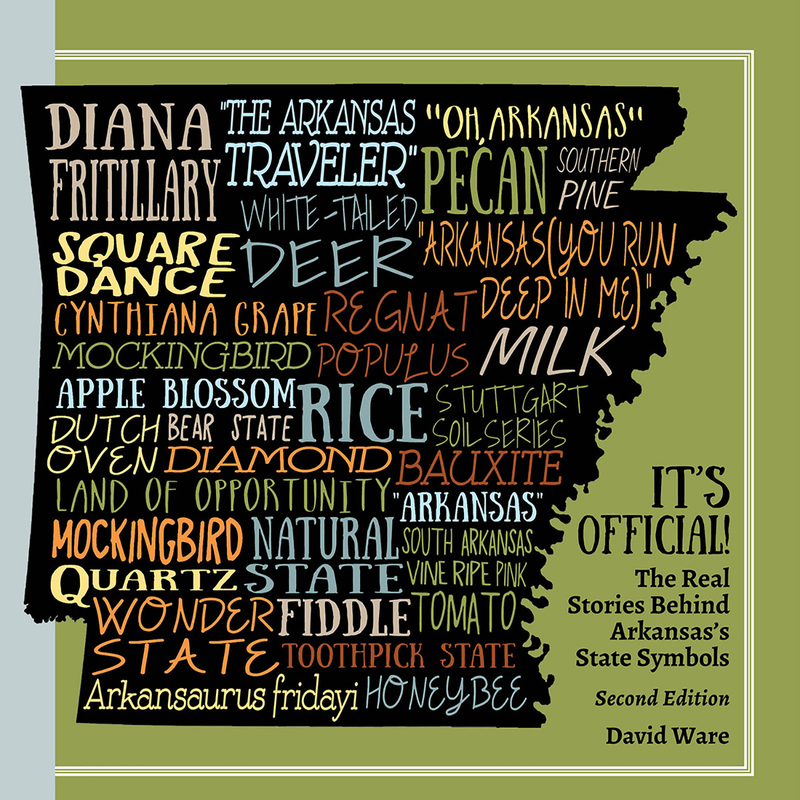 : The Real Stories behind Arkansas’s State Symbols, now in its 2nd edition. Arkansas’s Capitol Historian, Dr. David Ware, will discuss the utility of symbols, the significance of Arkansas’s earliest adopted symbols and will conclude with some observations on the potential for using the state symbols in interpreting the state’s history, geography and even its economic profile. And tell a couple of sea stories along the way. Copies of It’s Official! 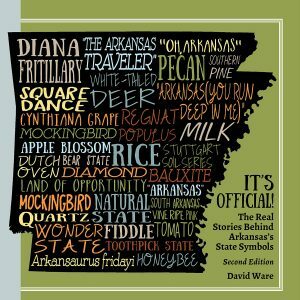 : The Real Stories behind Arkansas’s State Symbols will be available for purchase for $24 each. 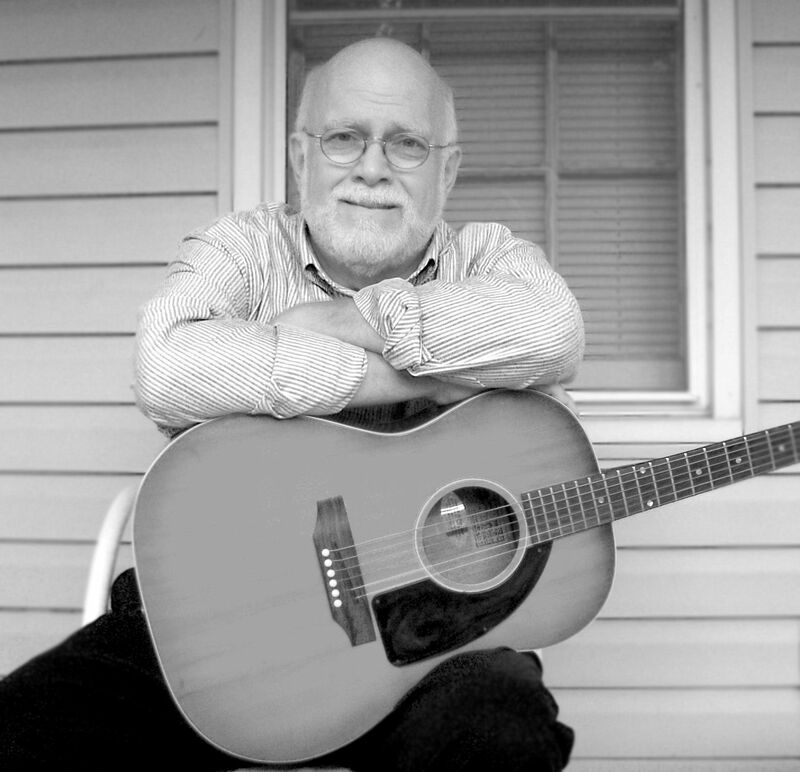 Lakeport Legacies for June 21 will feature Dr. Gary T. Edwards. Edwards, associate professor of history at Arkansas State University, will examine the life of Amanda Trulock (1811-1891). 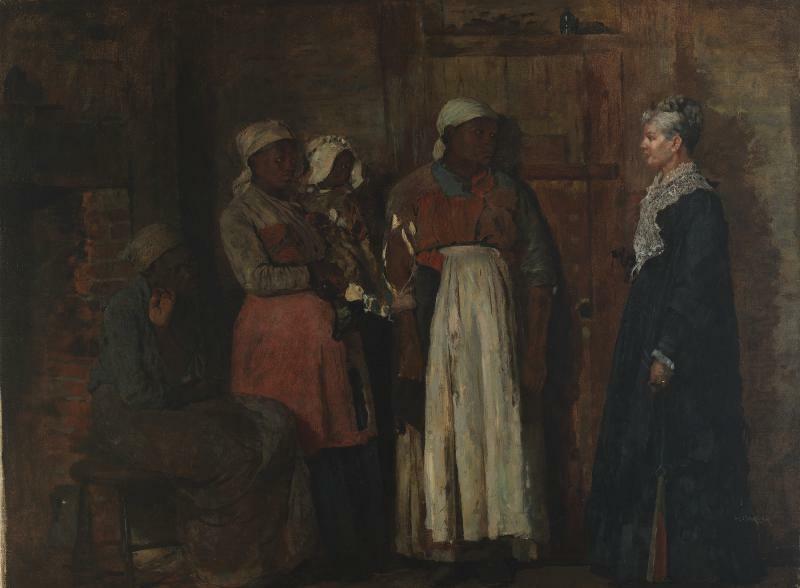 Born and raised in Connecticut, Trulock was widowed in 1849 and found herself the mistress to 62 enslaved laborers on a plantation in Jefferson County. 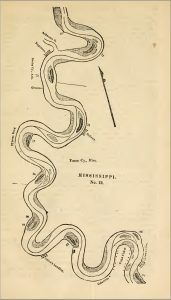 Letters and plantation records reveal a complicated relationship with slaves as she managed her plantation near Pine Bluff. Edwards’ chapter on Trulock was recently published in Arkansas Women: Their Lives and Times (University of Georgia Press, 2018). A limited number of copies will be available for purchase. Rev. G. H. Jones served in the Arkansas General Assembly in 1885 and 1889. Courtesy of the Old State House Museum. Rev. Green Hill Jones was one of over a dozen African-American men from southeast Arkansas who served in the Arkansas General Assembly between 1868 and 1893. Born a slave in Maury County, Tennessee in 1842, Jones was brought four years later to Kenneth Rayner’s Grand Lake cotton plantation in Chicot County, Arkansas. A young man when the Civil War began, Jones joined the Union Army at Memphis in 1863. After the Civil War, he became an ordained minister and received an education in the North. He returned to Chicot County in 1873 and was soon elected county treasurer (1874-1876), county assessor (1876-1878), and to two terms in the Arkansas House (1885, 1889). Wintory will tell his story from church and school records, and interviews with Jones and others contained in his Civil War-era pension file. Wintory’s talk is based on his research on Jones and Arkansas’s eighty-six other 19th century African-American legislators. His essay on the subject will be published in May 2018 in A Confused and Confusing Affair: Arkansas and Reconstruction. Edited by Mark Christ, the book will be published by Butler Center Books, a project of the Butler Center for Arkansas Studies at the Central Arkansas Library System. 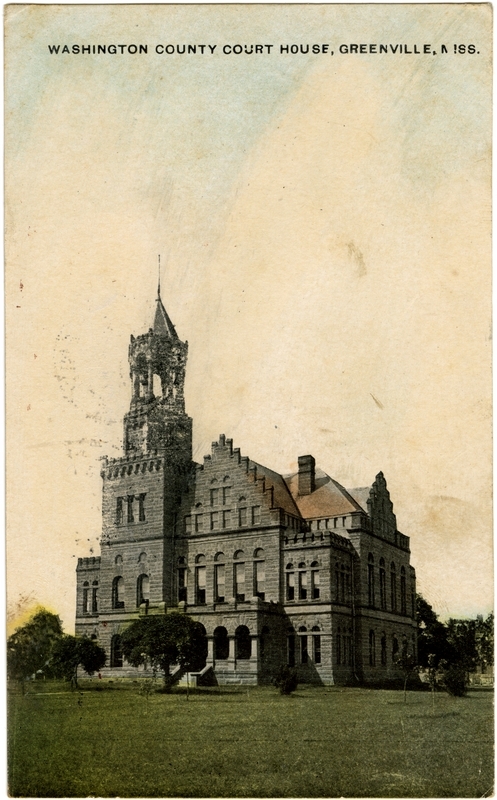 Washington County Courthouse, Greenville, Miss., built 1890-91, is pictured here around 1900. The bell tower was most likely reduced in the early 1930s. Courtesy of the Mississippi Department of Archives and History. Last year, I heard an odd story: the Washington County Courthouse’s belfry tower was originally a “hanging tower” used to hang convicted criminals. The sources were adamant but could only say they had heard it from others. My first instinct was this was recent bunk history–people seeing an unfamiliar and altered architectural feature and drawing a wild conclusion. For a building built in 1891, this is not ancient history. If the courthouse’s tower was really a “hanging tower”–a gruesome public spectacle–there should be amble written evidence. In January 1890, the Mississippi Legislature authorized the Washington County Board of Supervisors to issue bonds, not to exceed $100,000, to build a new courthouse and jail. 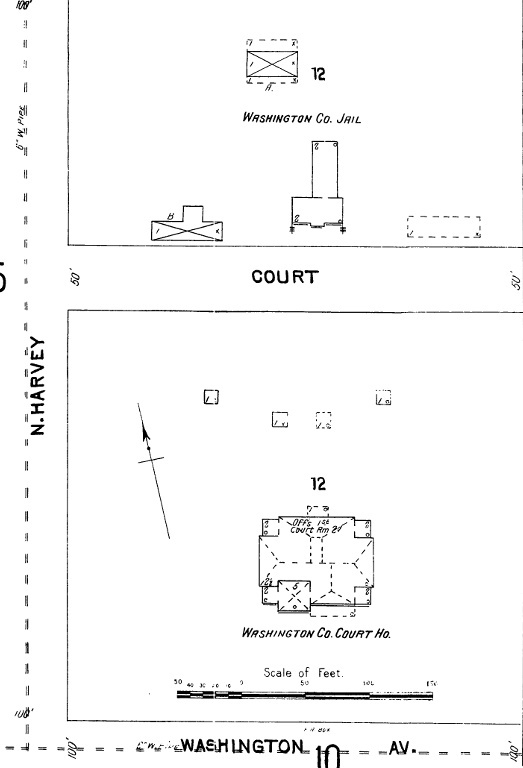 In July, the Board selected plans for a courthouse prepared by the McDonald Brothers of Louisville, Kentucky. Meanwhile, the Board selected jail plans submitted by L. T. Noyes, an “agent for the Diebold Safe and Lock Company” (Board of Supervisor Minutes, July 12, 1890). Initially, Charles Dollman of Memphis was selected to build the courthouse and John F. Barnes of Greenville to construct the jail. Barnes would ultimately build both. The McDonald Brothers’ plans called for an 80 x 100 foot, two-story high building including “a tower about 180 feet high with an open bell niche” (Greenville Times, July 19, 1890). We now call the courthouse’s architecture, popularized by Henry Hobson Richardson, Richardsonian Romanesque. Washington County’s courthouse is one of only two in this style in Mississippi. It also has a striking resemblance to another McDonald Brothers’ project, the 1888 Washington County Courthouse in Salem, Indiana. Today, the courthouse still has an impressive tower, but the bell niche or belfry was likely removed in 1930 when Jackson, Mississipi architect James M. Spain remodeled the building. Washington County’s Courthouse, ca 1940, with the tower lowered and belfry removed. Unseen is the 1891 jail behind the building. Lakeport Plantation Collection. Added to the National Register in 2014, the Washington County Courthouse is impressive public architecture to be marveled over. In contrast, the 1891 jail is, at most, an afterthought. 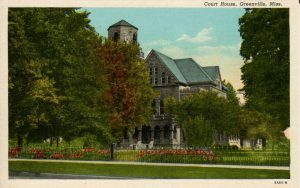 The jail appears in Sanborn maps, but 20th-century images of the courthouse give no indication of a jail lurking behind it. [Note: there are at least two 1890s images that show the jail, they are published in Washington County, Mississippi]. In 1950, a new jail was constructed north of the 1930 Annex and, it seems, the original jail was erased from the public’s imagination. Not to disparage Mrs. Parker and her memory, but her account is not supported by the written accounts of Weeks’ execution in 1932. Mrs. Parker was one of nearly a “thousand people” gathered at the courthouse and jail that morning. Many of them, unable to see the jail yard execution in the enclosed gallows, looked up at the boxed-in tower and assumed the execution was taking place in that public, yet obfuscated spot. With the original jail replaced in 1950 and the yard paved over, the only place for people to attach memories and stories of the 1932 hanging is the mysterious and altered tower. While people love a mystery or “hidden secrets,” there is no good reason to keep telling the story of the “hanging tower.” It is just not true nor does it lead to deeper understanding of the history of the courthouse or Greenville. 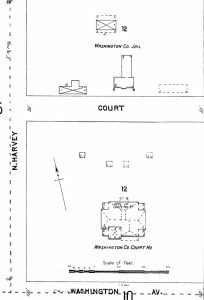 Primary sources like newspapers, oral histories, and county records tell us legal hangings in Washington County, from the early 1900s through 1932, took place in gallows constructed in the jail yard behind the Washington County Courthouse. 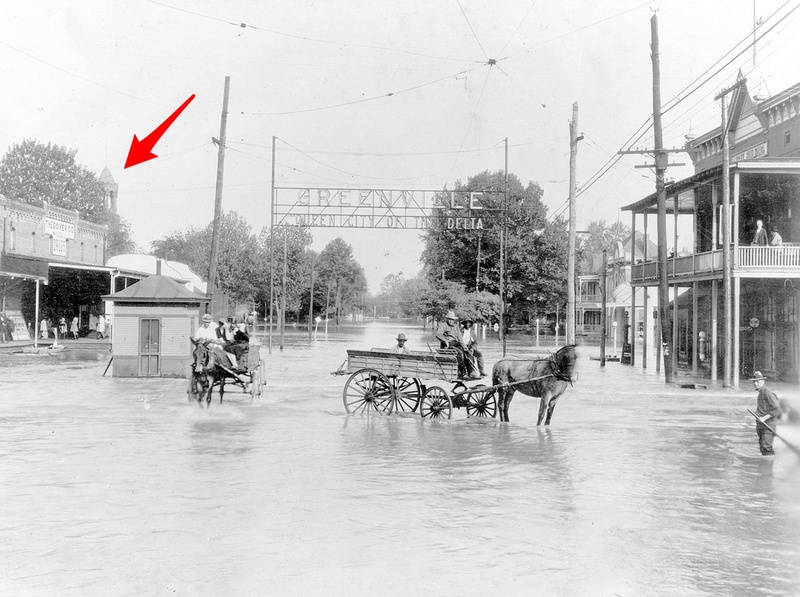 This 1927 flood photograph shows the Washington Courthouse’s tower still intact (left-hand corner). Courtesy of Princella W. Nowell. The lowering of the tower can be narrowed down to around 1930 when Spain led a renovation of the courthouse. 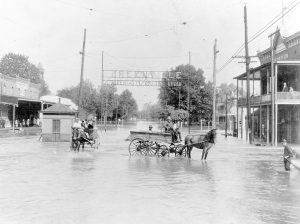 Nowell has confirmed the tower was still intact in 1927, as one photograph from the 1927 flood shows. Newspaper reports of Spain’s 1930 renovations of the courthouse and the Board of Supervisors records are vague, but a 1929 article in the DDT (cited above) mentions the work “will take in the upper floor of the structure.” Mrs. Parker’s 1977 recollection of the events in May 1932 speaks of the tower being boarded up. 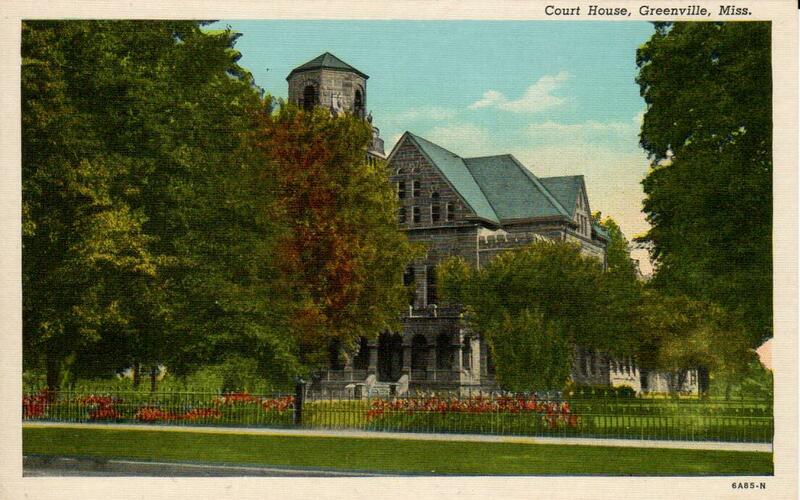 Finally, photo postcards ca 1940 show the courthouse’s tower reduced. It’s hard to believe that a major alteration to such a public building went unnoticed and largely uncommented upon. If you know of primary sources that mentions or shows a change to Washington County Courthouse’s tower, send an email to lakeport.ar@gmail.com. Brown, Leonard. Oral History Interview, September 20, 1978, Special Collections, Percy Library, Washington County Library System [also online at MDAH]. The Daily Democrat-Times, December 27, 1929; May 10, 12 1932. Gatlin, William. Washington County Courthouse, National Register Nomination, 2014. 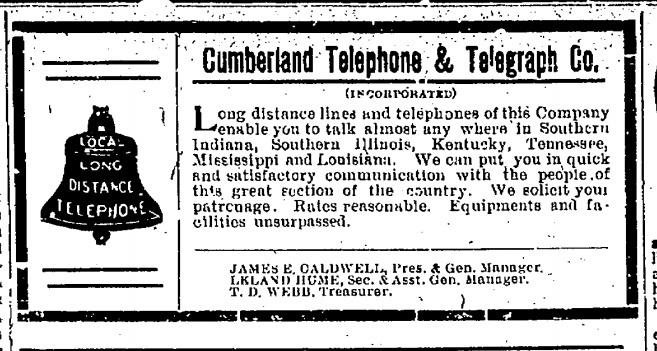 Greenville Times, February 22, July 19, 1890; February 16, 1907; February 23, 1908; August 21, 1909. Hall, Russell S., Princella W. Nowell, and Stacy Childress. Washington County, Mississippi. Charleston, SC: Arcadia Publishing, 2000. Nowell, Princella W. Email and phone communications, April 17, 2017-February 26, 2018. Nowell, Princella W. “Old Courthouses,” Life in the Delta [emailed to the author, February 7, 2018]. Ingram, Deborah, “If walls could only talk … Courthouse could share tales,” The Delta Democrat-Times, May 8, 1990, in “Courts,” Vertical File, Percy Library, Washington County Library System. Parker, Lillie Belle. Oral History Interview, February 18, 1977, Special Collections, Percy Library, Washington County Library System [also online at MDAH]. Washington County Board of Supervisor Minutes, Book 4. Special thanks to Princella Nowell, Clinton Bagley, Bill Gatlin, Benjy Nelken, and the staff at the Percy Library for their help. Few people realize that African-Americans continued to be elected in Chicot County into the early 1890s. The Rev. Green Hill Jones (1842-1924) was one of those men. Jones had been enslaved on the Rayner Plantation on Grand Lake in Chicot County prior to the Civil War. 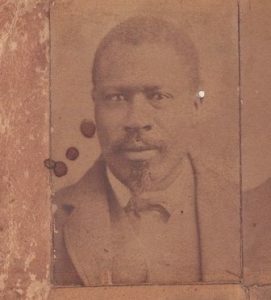 Jones escaped slavery and served in the U. S. Colored Troops during the war. 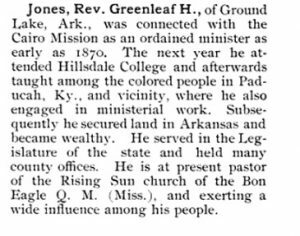 After the war, Jones went north to New Madrid, Missouri and Mound City, Illinois where he taught school and was ordained in the Free Will Baptist Church. From 1870 to 1873, he attended Hillsdale College in Hillsdale, Michigan. After graduation, he taught in Paducah, Kentucky. Upon his return to Chicot County, he was elected county treasurer in 1874 and then to two terms in the Arkansas House–1885 and 1889. 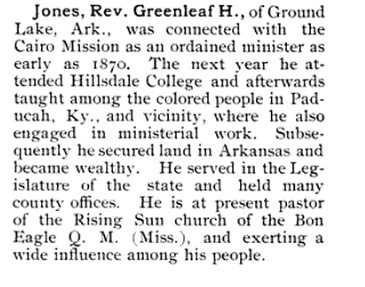 Jones, Rev. Greenleaf [sic] H., of Gr[a]nd Lake, Ark. was connected with the Cairo Mission as an ordained minister as early as 1870. The next year he attended Hillsdale College and afterwards taught among the colored people in Paducah, KY., and vicinity, where he also engaged in ministerial work. Subsequently, he secured land in Arkansas and became wealthy. He served in the Legislature of the state and held many county offices. He is at present pastor of the Rising Sun church of the Bon Eagle Q. M. (Miss. ), and exerting a wide influence among his people. Sweet Home at Eudora (1906-1907). Jones died in 1924 and is buried in Mason Cemetery south of Eudora. It appears the Rising Sun Church was still standing as late as 2006. A 1936 Chicot County Highway Map shows a church between Eudora and Grand Lake. 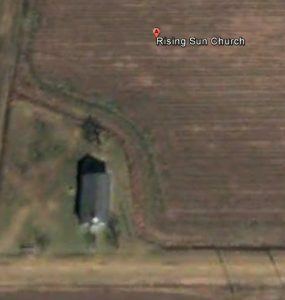 This church, as of 2018, still shows up in Google maps as Rising Sun Church. 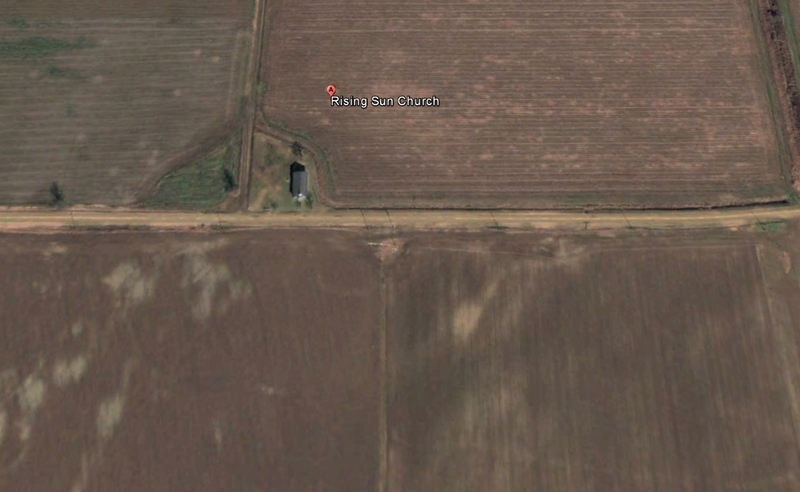 Google Earth’s historical imagery shows what is likely the Rising Sun Church still standing as late as 2006. LAKE VILLAGE — “The Polks’ Plantations and the Creation of Cotton Kingdom in the Old South” will be presented by Dr. Kelly Houston Jones in the latest Lakeport Legacies monthly history talk on September 28 at the Lakeport Plantation, 601 Hwy 142, in Lake Village. The event gets underway at 5:30 p.m. with refreshments and conversation, and the program starts at 6 p.m. The program is free and open to the public. For more information and to Register, contact Dr. Blake Wintory at 870-265-6031. Jones will discuss her research on the Polk family’s extensive cotton plantations across Tennessee, Mississippi, and Arkansas. The prominent family moved at the center of the historical processes that created King Cotton in the newest parts of the Old South. James K. Polk himself invested in cotton, while his relatives ran cotton plantations in the Mississippi Delta. The Polks’ and their business network represent patterns of cotton investment that characterized the late 1840s and early 1850s and built the slave empire of the Old Southwest. Dr. Jones is an Assistant Professor of History at Austin Peay State University specializing in the history of slavery. She received her Ph.D. from the University of Arkansas in 2014. Her most recent work will appear later this year in Bullets and Fire: Lynching and Authority in Arkansas, 1840-1950, edited by Guy Lancaster. Lakeport Legacies is a monthly history talk held on the last Thursday at the Lakeport Plantation during the spring and summer. Each month a topic from the Delta region is featured. 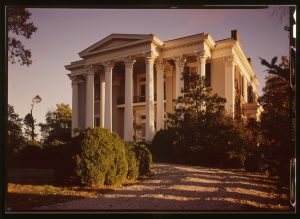 The Lakeport Plantation is an Arkansas State University Heritage Site. Constructed in 1859, Lakeport is one of Arkansas’s premier historic structures and still retains many of its original finishes and architectural details. Open to the public since 2007, Lakeport researches and interprets the people and cultures that shaped plantation life in the Mississippi River Delta, focusing on the Antebellum, Civil War and Reconstruction Periods. Arkansas Heritage Sites at Arkansas State University develops and operates historic properties of regional and national significance in the Arkansas Delta. A-State’s Heritage Sites include the Hemingway-Pfeiffer Museum and Educational Center, Southern Tenant Farmers Museum, Lakeport Plantation, the Historic Dyess Colony: Boyhood Home of Johnny Cash, and the Arkansas State University Museum. 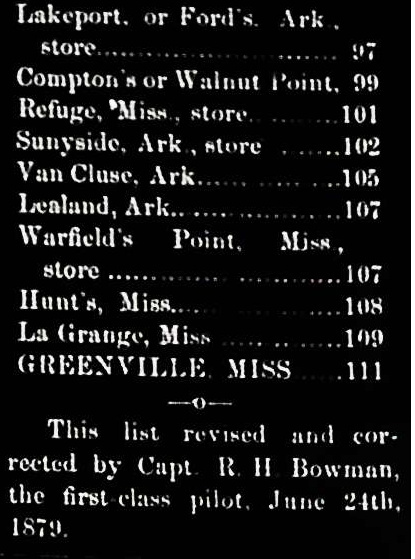 Greenville, Mississippi has a solid run of city directories from 1913-present, with 1918-1926 as the most significant gap. Filled with names, businesses, addresses, and other information, directories are important resources for historians and genealogists. 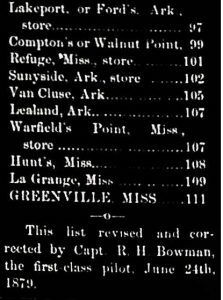 Directories are also a record of the town’s growth from a small county seat of under 1,000 people in 1865 to a city of over 40,000 in 1960.
Business Directory of Vicksburg, Jackson, Meridian, and Stations on the Vicksburg & Meridian R.R. (Abel C. Tuttle, Vicksburg, Miss, 1879). Microfilm in Mississippi Department of Archives & History, Jackson. During the last decades of the 19th century, town grew in population and modern amenities. 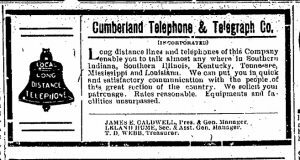 The telegraph arrived in Greenville in 1877 and railroads crossed the town in all cardinal directions by the 1880s. Electricity came in 1888 and two years later a network of two electric streetcars was unveiled. That year the city reached a population of 7,642. 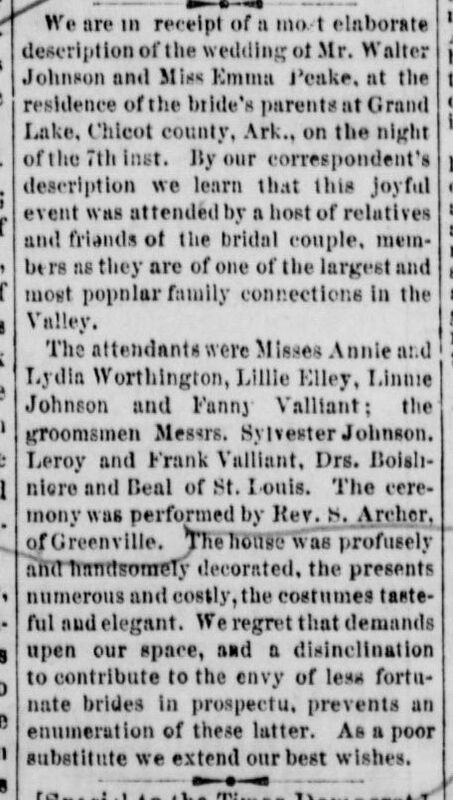 Greenville Daily Democrat, July 5, 1906. In 1961, the Delta-Democrat Times (March 1, 1961) chronicled “Greenville’s 40 year evolution from town to city” by comparing a 1961 directory to a newly discovered 1920 directory. Unearthed in a demolition of an old house, the 1920 directory was in the possession of Dean Loyd of 838 Bolivar St in 1961; today its location isn’t known and no copy of a 1920 Greenville directory can be found in any archive. According to the DDT, the 1920 directory had 1,428 listings compared to more than 11,000 in the 1961 directory. In that 40 year period, Greenville’s population grew from 11,560 to 41,502. 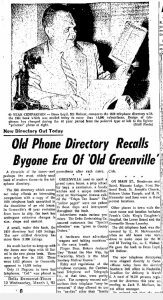 If you have Greenville city directory or telephone directory not in any archive, tell us about it. Ancestry.com has Greenville’s city directories (1913-1960) in its U.S. City Directories, 1822-1995 database. 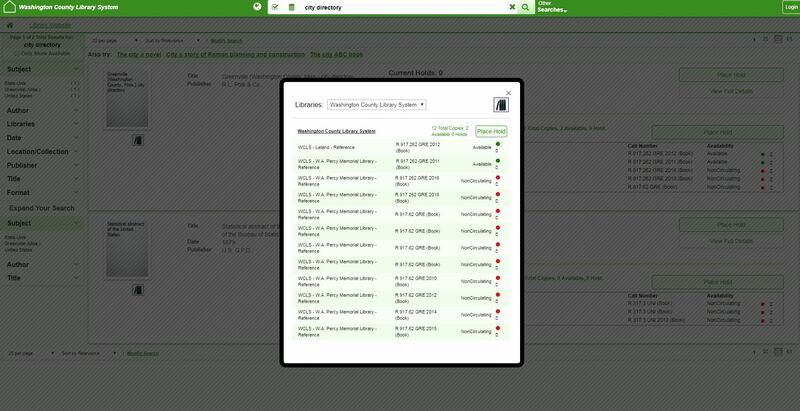 Ancestry requires a monthly fee to access its databases, but many local libraries and LDS Family History Centers offer access to patrons. Ancestry’s database is part of a microfilm collection offered by the Library of Congress & the Gale Group. Microfilm copies of the Greenville’s directories, 1913-1960 can be found in a number of libraries, including the William Alexander Percy Library in Greenville. Leland: 1966, 1968; 1975; 1978; 1980; 1983; 1988; 1989; 1991; 1992; 1993; 1994; 1995; 1996. Keating, Bern. A History of Washington County. Greenville, MS: The Greenville Junior Auxiliary, 1976. Willis, John C. Forgotton Time: The Yazoo-Mississippi Delta after the Civil War. Charlottesville: University of Virginia Press, 2000.